As the weather is warming up and the flowers blossoming, we all know it is time for the BEST holiday! FYORA DAY! The faeries always do SO much for us, especially their Queen, Fyora! So I will tell you how to throw the best possible Fyora Day party in these ten simple, easy steps! 1. Invite ALL of your neofriends! You must invite all of your friends! Of, course, for this momentous occasion, Neomail is not enough! You must make custom faerie invitations! You will need a few supplies. It helps if you decorate your neohome with TONS of faerie decorations! It took me over 3 hours to decorate my neohome, so you should get started pretty soon! You should paint the walls with Faerie paint, and same with the floors. A few Fyora Rules Posters are a must, and maybe get a Faerie Kitchen Cupboard to store the food to serve to your guests! If you like to decorate a lot, then get a few Faerie chairs, and maybe even a Faerie Fridge! Also, if your paint is not dry by the time your guests arrive, Faerie rugs are very useful. 3. Get Faerie Snacks and food! Appetizers: Faerie Crisps, Chocolate Cloud Cookies, and Starberry Faerie Bubbles Main course: Strawmelon Jam Burgers, Water Faerie Sandwiches and Illusen Leaf Burritos. As a side, Fresh Faerie Fruits. Drinks: Twirly Fruit Parasol Faerie Punch with any Faerie Straw. Dessert: Earth Faerie Brownies and Raspberry Faerie Crepes. You take out a bottled faerie and spin it. Whoever it lands on gets to set the faerie free! Any number of Neopets can play it, just make sure you get a few bottled faeries! Pin the wings on the faerie! Get a poster of Fyora, and paste cardboard on the back. Then get some faerie wings. Also, get any scarf that you want. Then, select a neopet to go first. Tie the scarf around their face, spin the neopet around, hand him the wings and tell him to pin the wings on Fyora! If your neopet loves Hide & Seek, they'll love this! It is hide and seek, just under a different name. Simple enough. 5. Bake a Faerie Cake! During your party, you should definitely do this. Neopets young and old will love this. Get all the faerie desserts you can, and get some flour and water. Let the Neopets design the cake, and then bake it in a Faerie oven. At the end of the party, divide up the cake for all the guests to take home with them. Make sure to hand out gift bags! I handed out Neopets 7th anniversary gift bags, and I taped faerie wings on the front and back. I also inserted a floud in each of their bags! I got neomails shortly after about how they LOVED the gift bags! If you cannot get a hold of this gift bag and a floud, I have a few other gift bag options. Any Neopets anniversary bag, with faerie wings taped on and a floud inside. A hidden tower themed bag with hidden tower items! This is always VERY expensive, only get if you have over ten million neopoints. This is a Fyora Day party, after all. You should invite her! Even though it is unlikely she will come, she will be glad that you invited her! Maybe she will give you a quest! Anyway, this is very necessary. 8. Play plenty of faerie games! Everyone here needs neopoints, right? So why not combine getting neopoints with throwing an awesome party with getting rich! Everyone you invite will like this, and they will leave richer than when they came! This is the perfect addition to any party, and you can play the games even if they were not planned! A few good games to play would be Faerie Bubbles, Cloud Racers, and Faerie Caves II! 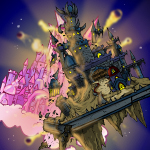 Especially Faerie Caves II, for it features the great Fyora herself! 9. Go to the battledome! I know, I know, this doesn't seem like something to do at any faerie themed party, but just listen to me. If you go to the faerie weapons shop and get everyone to pick out the weapons of their choice, and send them all to the battledome! Give all Neopets who win at least once a special prize! All Neopets who battle a bunch will love this. 10. Read the Neopian Times! Of course, if you are reading this, you are already doing that! But bring a few extra copies of this issue, and hand them out at some point during your party! The little Neopets will love the comics, the older ones will love the articles like this, and everyone will love the insane editorial. So now you know how to throw the best possible Fyora Day party! Thanks for reading this article!